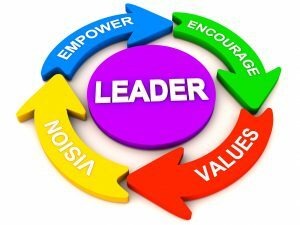 Leadership to me is fascinating, how we choose and appoint our leaders says so much about who we are as individuals, communities and countries. Who we choose as our leaders and who we identify with and follow has left the world increasingly polarized. So, I want you to bear with me when I ask you to think of a leader in your head. This person is your kind of leader – imagine their strengths, their power pose (or lack of); how do they walk into the room, how do they greet others? Are they silent and considered, educated or self-taught? How do they speak? What do they wear? What do they look like? Think about their clothes, their car… I could go on and on, but I hope by now you have conjured up in your mind a walking, talking real life person who you would be happy to call your kind of leader. Chances are you look for physical clues that say this person is for us, we know them, and they are one of us? I find people can fall foul of interpreting others the way cartoonists do, cartoonists assign inner attributes to people and then express it on their exterior. They finely tune into the micro characteristic of appearance to communicate things like intelligence – a long forehead equals a huge brain (of course it does, no one would ever challenge that in cartoon land). However, I have a feeling this actually happens in real life – my theory is that all the large fore-headed, intellectually challenged people are feeling pretty overinflated right now. Chances are you opted for relationality* when you thought of a great leader (not sure that’s a word but you get my meaning?) I think the probability is that you described someone like you, with a large forehead, or maybe a small one if you’re suspicious of experts. I certainly would want someone real and believable, but others might even like their leaders flawed – maybe you’re suspicious that a moral leader is too righteous and therefore likely a fraud anyway? Rather an honest rat then a righteous fraud? I’m probably guessing but I bet you didn’t think of a 16-year-old when you thought of your ideal leader. We are all guilty of thinking of an archetypical ‘powerful leader’ as a certain person of a certain age with gravitas and resolve that doesn’t flinch at the tough choices? It’s time to challenge those old ways and our innate ways of thinking. It’s time to give youth a chance and start to think that yes, a 16-year-old might have some important perspective to share; they might be the right person for the job. Their passion and exuberance is the way to go, maybe their anger can translate to others in a positive way, perhaps just perhaps they could do it better. Maybe we don’t have to hold their hand and mould them into that certain person for power “one day”. All we have to do is challenge ourselves to think differently and give youth the stage. • The state of condition of being relational. • Concerning the way in which two or more people or things are connected.